If you have any questions, send me a message or leave a comment. I this video was helpful to you. I deserve that pumpkin medal! In Bulgaria there is a saying that when somebody is not going to be "rewarded" for his/her effort ( in monetary or other way), he/she would be given a pumpkin medal. I absolutely, positively believe I deserve one tonight! I came back from work, made dinner, listened to everyone complain about their day, then proceeded to make two kids Halloween costumes because " by the way, we need them for tomorrow", not next week as we initially thought. Yup. I am so extremely lucky that my kids are so incredibly awesome and agreed to make the costumes with what we had. An old Superman cape quickly became a part of the "pile of leaves" costume of my daughter, as the same costume included a crochet hat that we had from before. 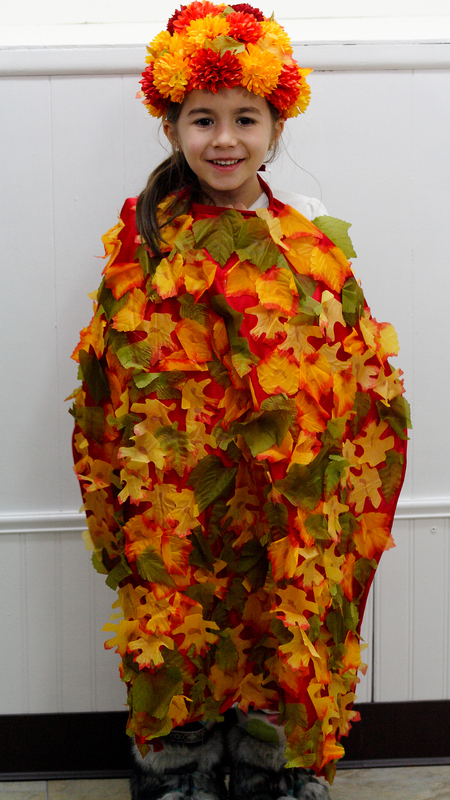 250 fabric leaves and 10 hot glue gun sticks later, she IS a pile of leaves! 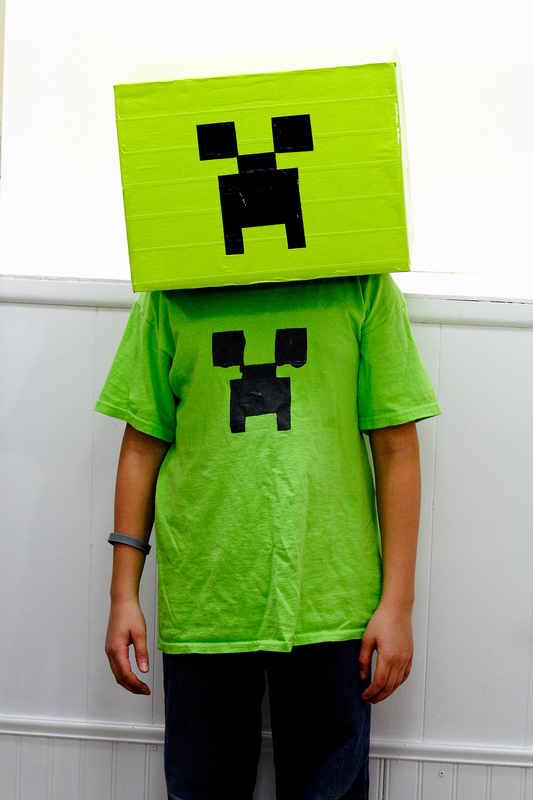 My son wanted a creeper box "mask", which if we bought from the store, believe it or not would have cost $20. A cardboard box for $20! Can you believe it?! So, we just got a plain shipping box and one roll of duck tape, and we were all set. Pumpkin medal or not, at least I got to hear that I'm "the best mommy in the whole world" at least 3 times! What a better reward, right? Happy early Halloween! Now I'm going to bed...hopefully. My first book is available for purchase online! After 6 whole years writing, planning, editing, drawing, worrying- the day finally came! At last, my first chapter book for children with the fuzzy title "Woolly" is available for purchase online! Yay! In 6-8 weeks you will be able to purchase it through Amazon as well, but for now, BUY THE BOOK"WOOLLY" HERE. Thank you for supporting independent writers! It means the world to me to be able to share my story with you and your children, and I hope you all like it! In any case, I welcome comments, suggestions and questions, so don't hesitate to write me an e-mail or a comment!